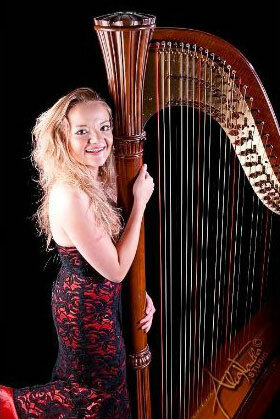 This harpist graduated in 2013 from Trinity Laban Conservatoire, London, with a BMus First Class Honours Degree in harp performance and gaining a high Distinction in an LTCL Diploma for Music Teaching. 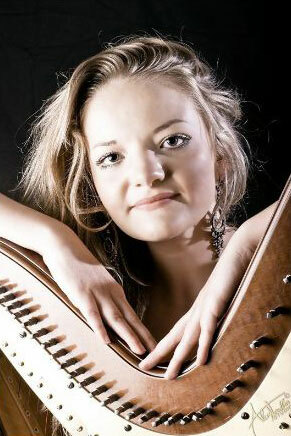 Born in Leicestershire, and previously a music scholar at Oakham School, she has been playing harp since she was 7 years old. She studies under Gabriella Dall’Olio, and studies early music on the triple harp with Frances Kelly. She has gained a Scholarship to continue her studies on a Masters of Music Performance course, and has been awarded a Musicians Benevolent Fund Postgraduate Performance Award. Alongside these prestigious awards she was also presented with a Penske Automotive Scholarship and City Livery Club Prize.? 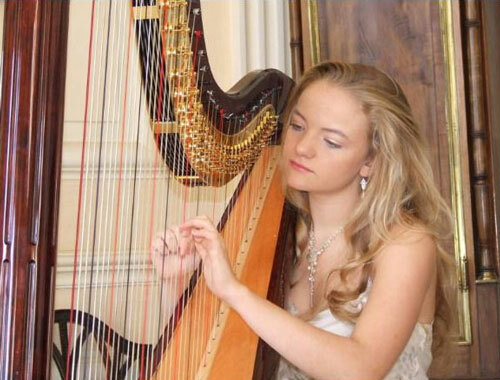 Shge has won many prizes for her playing in festivals and competitions, including Leicester Young Performer of the Year aged just 13 and the John Marson Harp Prize in 2012, leading to a solo recital at St. Martin in the Fields, London. She was principal harpist with the CBSO Youth Orchestra for six years, a position she also held with the award-winning Northampton Youth Orchestra from the age of twelve until leaving to start her studies at music conservatoire. She has participated in many masterclasses with such eminent harpists as Fabrice Pierre, Sylvain Blassel, Letitzia Belmondo and Elizabeth Fontan Binoche.? She had her concerto debut at St John’s, Smith Square, London, at the age of 15, and has travelled widely with her harp, playing both solo and orchestral works in Spain, Belgium, France and Portugal. She has played in many prestigious venues in the UK including The Royal Albert Hall, London Barbican, Cardiff Millennium Centre, Birmingham Symphony Hall and Festival Hall at London’s South Bank. ? 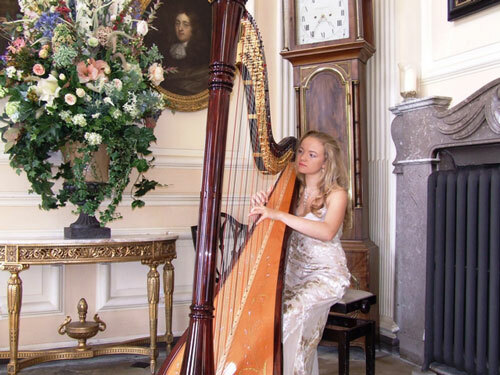 Regularly invited to play for dignitaries, she has performed for members of the Royal family, including Her Majesty the Queen, and also for Lord Lieutenants. She has worked closely with composer Amir Sadeghi, with whom she has recorded a world premiere with the Marson Harp Trio for BBC Television, and also regularly plays as part of a flute and harp duo with Alice Thompson, a clarinet and harp duo with Christopher Hatton and with Soprano, Emma-Claire Crook. ? She has a love of orchestral playing, regularly performing with orchestras such as the Leicester Symphony Orchestra and the Bardi Orchestra at Leicester's De Montfort Hall. She has also worked under many eminent conductors including Sakari Oramo, Edward Gardner, Jac Van Steen, Andris Nielson, Claus Efland, Rainer Hersch among others. A highly popular performer at weddings and corporate events she has played for many prestigious clients, including new launches of BMW and for Frank Benbini of the Fun Lovin’ Criminals on his CD, “Smiles for Miles”. She is grateful to be supported by the Sir Andrew Martin Trust, The Gordon Robinson Memorial Trust, The Norman Gill Trust and The Dorothy Johnson Trust. Air on a G string - Bach, J.S. Arrival of the Queen of Sheeba - Handel, G.F.
Ave Maria - Bach, J.S. Concerto in B flat No.6 Op.4 - Handel, G.F.
Concerto in B flat, Opus 4 No.6 - Handel, G.F.
Concerto for Harp and Flute and Orchestra - Mozart, W.A. From This Moment On - Twain, Shania. Unchained Melody - The Righteous Brothers.